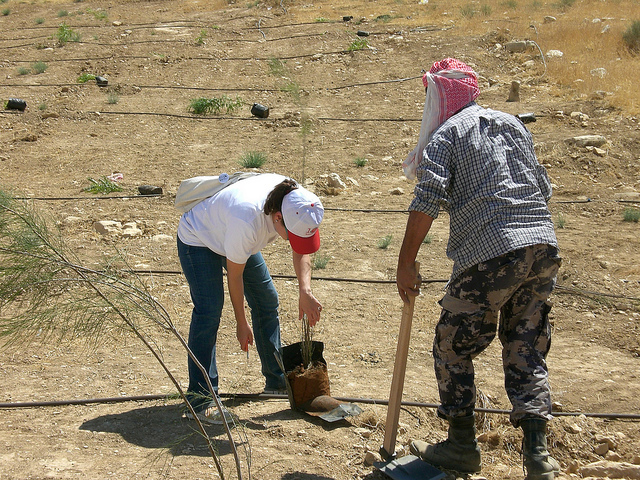 I’ve been pleasantly surprised to experience a spirit of volunteerism here in Jordan. 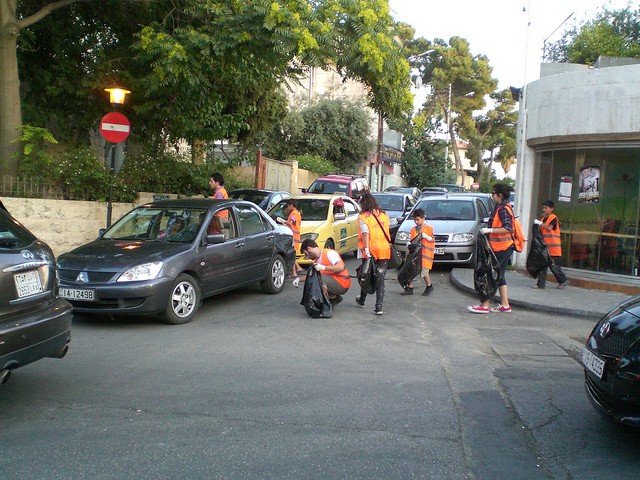 Last weekend after a tasty juice of lemon and mint on Rainbow Street, I was so surprised to see a large group of kids in orange vests carrying trash bags, I had to take a picture of it. Lillie, an friend who was in Morocco with me noticed this picture and said she would have had a heart attack if she saw volunteer kids picking up trash in Fez. I tried to explain this to my new American friend here in Jordan when he asked me why I thought the volunteers were photoworthy: I just never experienced much of a motivation for community involvement and volunteerism in Morocco, and was happy to see it alive and well here in Amman. This Saturday I got to do a little volunteering myself. 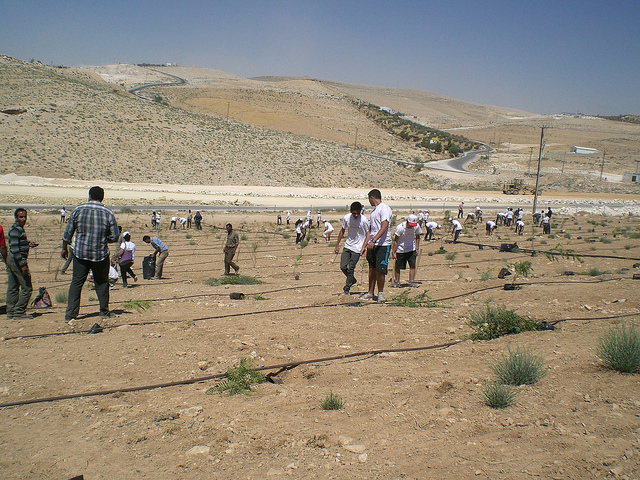 I went with Hamza, his friends, and nearly 100 other young Jordanian volunteers to plant 1,000 trees north of Amman with volunteers from the Ministry of Agriculture. The initiative is to plant 10,000 total trees this year. 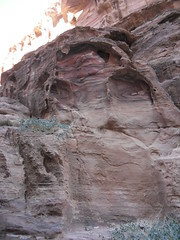 Only 0.9% of Jordan is covered with forest, and has big problems with deforestation and desertification. 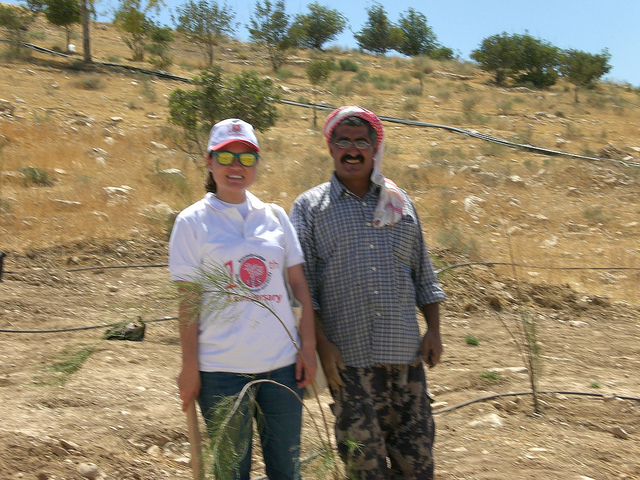 I planted around 20 trees with Ziad, a volunteer with the Ministry of Agriculture who also works as a night guard in Amman. He has invited me to his house next weekend for a meal of mansaf with his family: a traditional Jordanian dish made with lamb and rice! Laura and Ziad, combating deforestation one tree at a time.